Green Bay Packers legend Brett Favre is surprised Aaron Rodgers doesn’t have more Super Bowl wins. In an interview with TMZ, Favre says the Packers “should have won more” under Mike McCarthy. Favre was asked about the Bleacher Report article that detailed McCarthy’s rocky relationship with Rodgers. While he didn’t get into specific details, Favre said he agreed with the sentiment that the team should have won achieved more success. Under McCarthy, the Packers made the playoffs nine times. In 2007, Favre was still the team’s starter. The next eight times, it was Rodgers. In those eight attempts, the Packers won the Super Bowl once. They made it to the conference championship two other times, losing both those games. In that statement, Favre also admits Rodgers is the “best player in the game.” The two were thought to have a difficult relationship, but Favre revealed he spent time with Rodgers this summer as part of a documentary. Favre said the two had time to reflect on the past. While many in Green Bay may share Favre’s assessment of the McCarthy era, it’s worth noting the Packers won only one Super Bowl with Favre under center. Favre’s message could easily apply to his own coaches. With McCarthy out, Matt LaFleur will now be tasked with getting Rodgers and the rest of the team back to the Super Bowl. 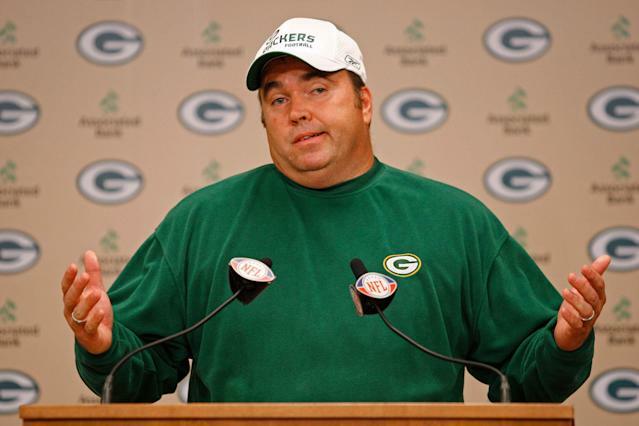 In order to satisfy Favre, LaFleur may need to win at least one while Rodgers is still around. No pressure there.